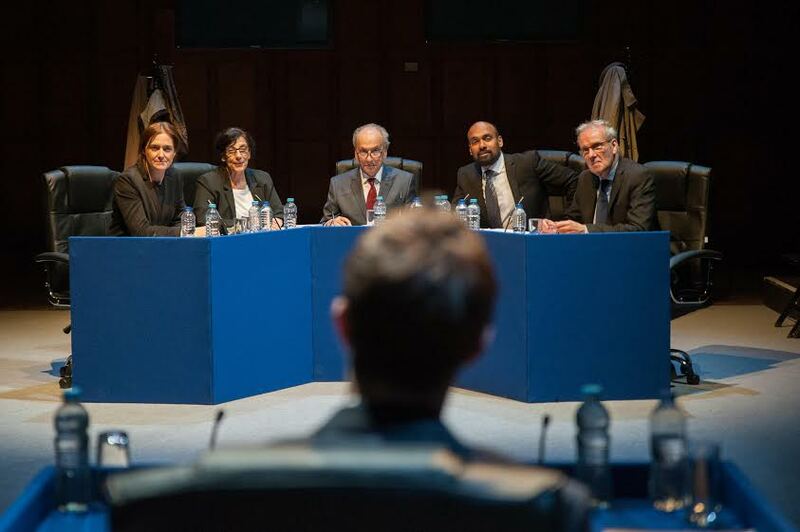 With The Chilcot Report to be published in just over a month’s time, Lung Theatre have got in early with this tribunal staged event a la Nick Kent’s Tricycle hearings. It’s to Lung artistic director, Matt Woodhead’s great credit that he’s so quickly off the mark. Many further examinations are bound to follow. Indeed, eight years ago, Kent himself staged Called to Account, putting the former Prime Minister Tony Blair `on trial’ over his handling of the invasion of Iraq in March 2003. Once again, the indispensable Guardian journalist, Richard Norton-Taylor, is on hand to help edit and pour through the hundreds of legal documents and millions of words given in evidence before Sir John Chilcot. The result interestingly, not unlike Called to Account, comes to no fixed conclusion but re-rehearses some very well known arguments as to the lead-up to the event: Blair’s relationship with the Intelligence Services, his sofa style of government, the disparity between his solid belief in the `cause’ and the reservations of those around him including the Secretary for International Affairs, Clare Short and Eliza Manningham-Buller, former head of MI5 whose final words, chillingly, sum up the atmosphere behind closed doors. Not all of this comes over as decisively as it should. Woodhead stages the hearing in traverse and once again, the deluge of information threatens to overwhelm in Battersea’s old Council Chamber whose acoustics don’t always lend themselves to clarity, particularly when speakers’ backs are turned. But there are haunting, acted out, testimonies from Iraqi civilians as to the devastation caused by the invasion and its lethal aftermath thanks to government complacency and lack of planning – most damningly described by Geoffrey Hoon, then Defence Secretary, whose approach to the inadequacy of equipment provided for the army is shockingly lackadaisical. For the already converted, Lung’s Chilcot will simply confirm their convictions. But for a younger generation, new to the `facts’, if they can plough through the testimonies – broken up by Woodhead with video clips and individual accounts – it could be an eye-opener. 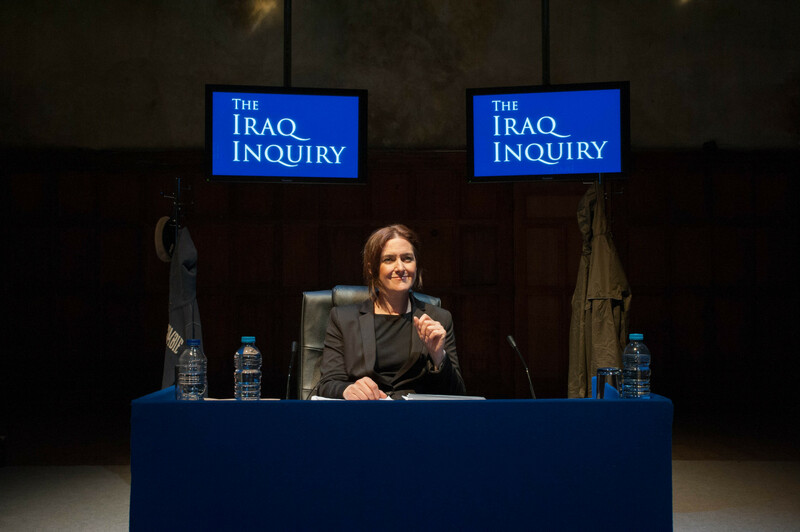 Chilcot was commissioned by The Lowry and Battersea Arts Centre, developed with and supported by The National Theatre Studio.